In this section, you would find our latest publications. We encourage you to keep checking out this page, as we aim to publish a new resource every few weeks. For a range of other topics, please check out and subscribe to our blog. Measuring Economic Capital of an insurance company is arguably the biggest challenge for the insurers around the world. But the process of implementation is long and complex. A number of technical and business decisions need to be made, that affect the implementation journey. 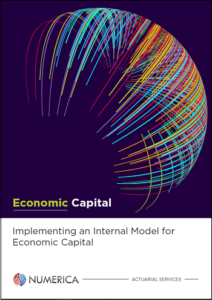 This article sets out the business objectives of Economic Capital and presents a road-map for EC implementation for a life insurer, without going into much technical details. Several approaches for valuation and accounting of leave benefits currently exist. Employers often record a liability in respect of certain leave schemes which do not require an actuarial valuation, and they fail to identify other schemes which may require one. 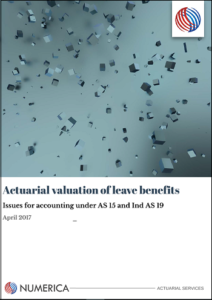 This article has been submitted to Institute of Actuaries of India and Institute of Chartered Accountants of India and provides technical guidance on how to properly account for leave schemes. 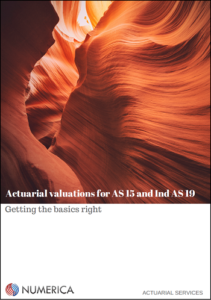 An article covering the basics of actuarial valuations, which are not very widely covered in actuarial or accounting literature. The topics covered in this paper are based on our own experience of interacting with our clients and their auditors. This article does not cover advanced topics and focusses on basics only. Intended audience: HR managers, as well as accountants and auditors who are new to actuarial work. This white paper provides a brief background of Indian Accounting Standards, the timelines, and applicability. 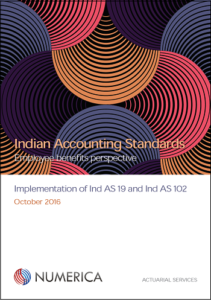 Guidance on the transition to Ind AS 19 and Ind AS 102 is provided in two separate sections. This paper also provides a handy reference and a practical guide to what will change under the new Ind AS and what the companies need to do. Intended audience: Accountants, auditors and senior management personnel. Regulatory updates, news and more!